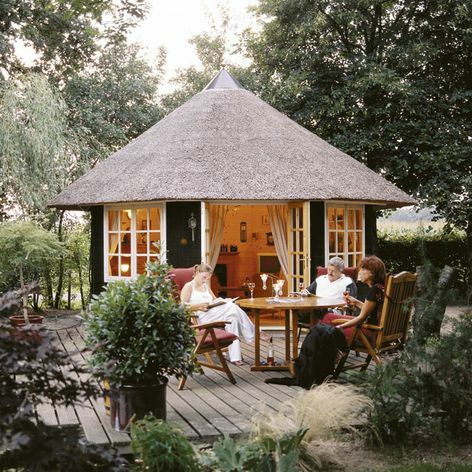 An elegant summerhouse, ideal for a garden retreat, pool house or studio. 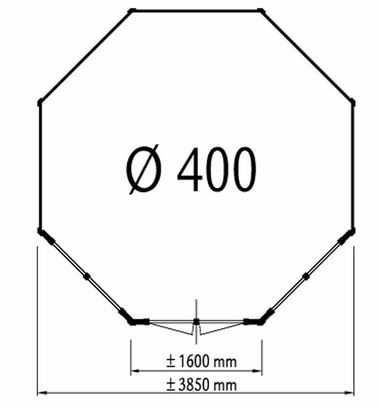 Size approximately 3.85m in 44 mm log thickness. This version includes 2 casement windows PR23 (outward opening) and a double door PE24. Standard roof covering is felt roof shingles. Measurements are taken to the outside faces of the walls. Please note: the Lugarde images shown are representative and may contain features which are not included in the price shown on this page. Thatched roof is non standard.